3 Free Outdoor Activites in Boston This Summer! Summer time in Boston can be a magical experience. The gardens are in bloom, restaurants re-open their patios and everyone has lost their winter blues! With the majority of student population gone for their school break, it’s a great time to get out and explore our normally crowded city! Whether it’s enjoying a lobster roll at B&G Oysters for lunch or chatting with vendors at the SOWA Open Market, there are plenty of fun activities to do outside. Even better are things to do outside for free! Here are some of our favorites! The historic Boston Hatch Shell is best known for the city’s annual Fourth of July performance of Tchaikovsky’s 1812 Overture by the Boston Pops, a tradition held for 40 years! If the 4th of July crowds are too much, then you should definitely check out the free movie screenings on Friday nights! The Free Friday Flicks begin tonight, June 21, at sundown with Hotel Transylvania. Other films scheduled are Wreck it Ralph, Rise of the Guardians and Oz: The Great and Powerful. Bring your friends, your favorite snacks and the largest blanket you own! If the banks of the Charles River and views of Cambridge do not appeal to you, perhaps a concert series inside the Boston Public Library’s courtyard is more your style! Come sit outside at lunchtime every Friday for free musical performances by artists from all over the world. Performers include Kenyan vocalist Wambura Mitaru, jazz improviser Lance Houston and members of the Boston Lyric Opera. The Boston Lyric Opera is New England’s largest opera company and will have selections including pieces from Mozart’s The Magic Flute and Verdi’s Rigoletto. While sitting under the stars watching a movie and relaxing in the courtyard while reading and listening to music is nice, sometimes you just want to be a kid again! Head over to the Boston Commons and dip your feet in the famous Frog Pond! Hot summer can be brutal in this town, cool off under the 30 foot spray plume and have a bite to eat at the Frog Pond Café! 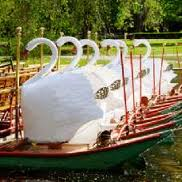 Across Charles Street, in the Boston Public Gardens, visitors and locals alike can also ride the Swan Boats for $3.00 (adults) and children ages 2-15 for $1.50! They have been operated by the same family for the last five generations. 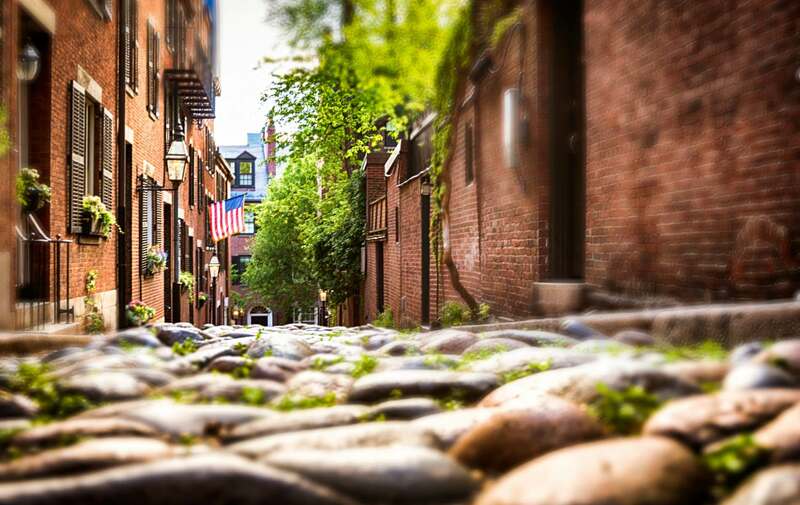 With so many great things to do in Boston this summer, don’t forget our favorite South End neighborhood! Walking through the quiet, tree lined streets admiring gardens, public parks and unique boutiques is also free! Once you head back to your room here at the bed and breakfast, sipping wine on our roof deck might be the best way to end your fun filled day! This entry was posted in Uncategorized and tagged Boston Frog Pond, Boston Hatch Shell, Boston Public Library, free concerts, free movies, free things to do in Boston, Swan Boats, things to do in Boston by admin. Bookmark the permalink.